Just last night some colleagues of mine were discussing the shared disappointment in the Star Wars prequels. Then I see this absolutely phenomenal MOC by migalart this morning and I have to question my loathing for them. 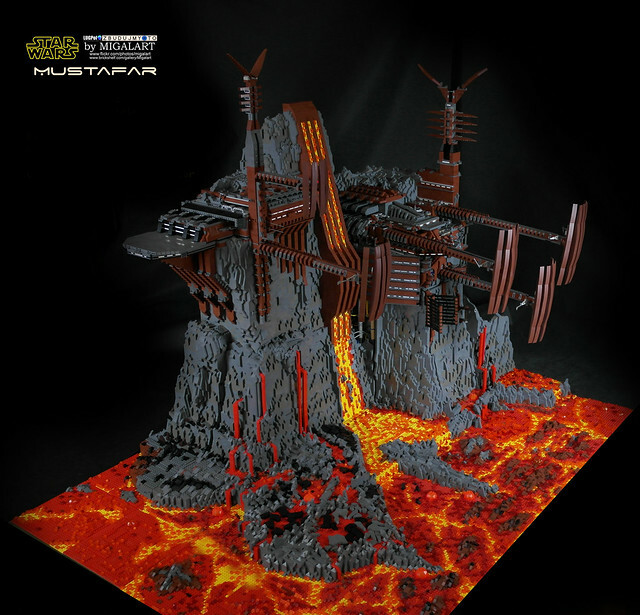 I have to admit do like some of the vehicles, locations and characters from episodes 1-3, but I probably wouldn't have counted Mustafar among them. But I find myself wanting to watch Obi-Wan and Anakin's epic duel once more. The lava work on this is hands down the best I've ever seen, and the whole thing is on a scale that's hard to believe. Click through for more pics including one for scale.